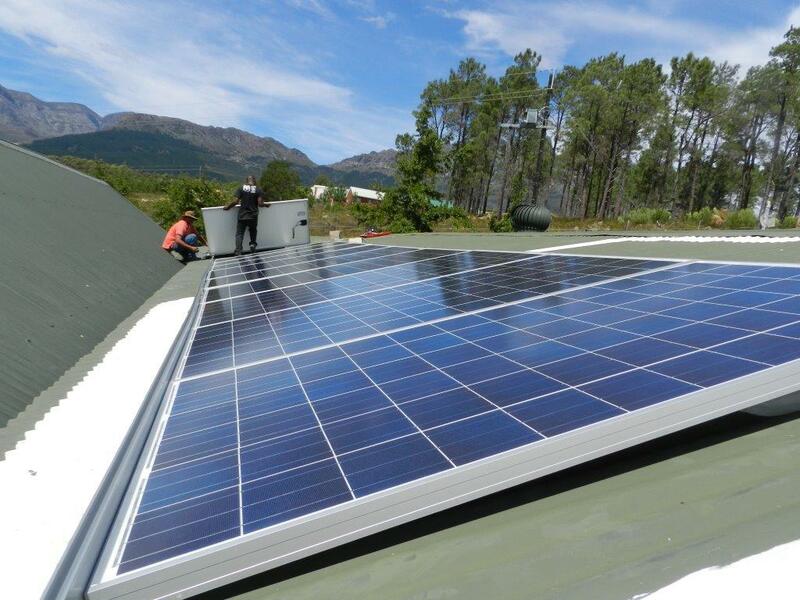 We started the installation of a 10KW solar system in Wellington just outside Cape Town today, roof mounting 32 x 300 Watt Solair Solar Panels. Look forward to seeing it going live! The system will produce just over 20,000 KW/Hours of electricity a year saving around 21 tons of CO/2 per annum.